The Indian Premier League 2019 schedule is out. Keeping in mind the upcoming election the IPL governing council has announced the schedule only for a couple of weeks. 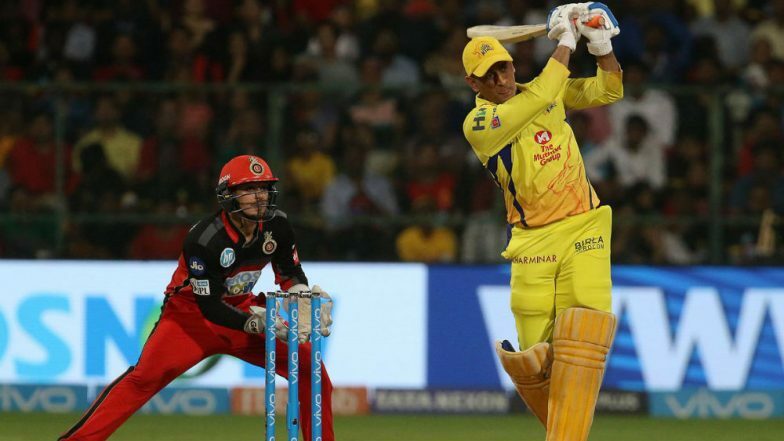 The first match will be played between IPL 11 winners Chennai Super Kings and Royal Challengers Bangalore on March 23 in Chennai. As per the website of the Indian Premier League, 17 matches will be played in all in the first two weeks. All the eight teams will play home matches of their respective franchises. Every team will play a minimum of 2 home and 2 away matches with DC playing 3 home matches, while RCB will play 3 away matches. “This is still subject to the announcement of Lok Sabha 2019 election dates. Once the election dates are released we will address any issues with the first two weeks and also prepare a schedule for the remainder of the season working with the local authorities around the polling dates,” read the website of the IPL. Here’s the schedule of the IPL 2019 was announced on social media. "These are still subject to the announcement of the Lok Sabha 2019 election dates. Once these have been released BCCI will address any issues with the first two weeks and will also prepare a schedule for the remainder of the season working with the local authorities around the polling dates," read the release shared by the IPL 2019.